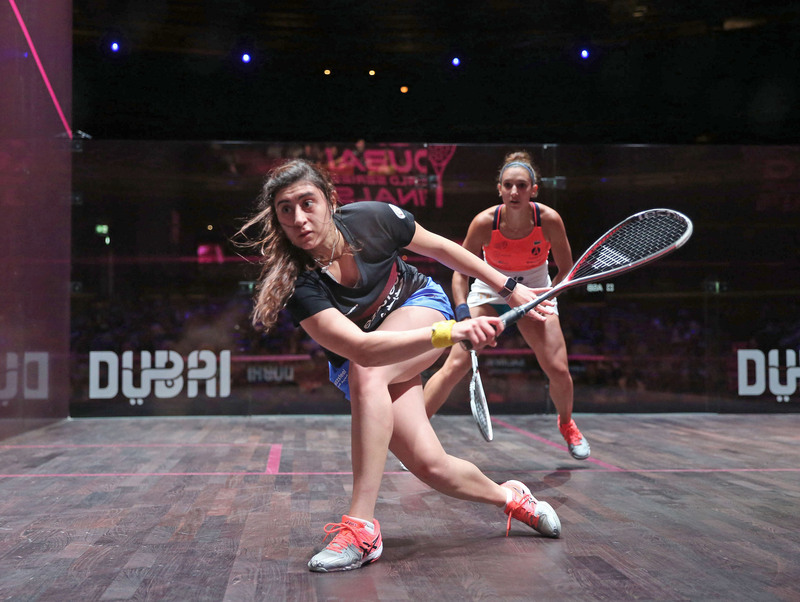 Egypt’s dominance of world squash has continued unabated this year with the top three places in both the World rankings, and in the World Series Standings for men and women currently held by Egyptians. And an incredible nine Egyptian players – five men and four women - have qualified for the season-ending ATCO PSA Dubai World Series Finals which takes place June 5-9 at the Emirates Golf Club. But history has shown that coming into the World Series Finals as favourite is no guarantee of top spot on the podium, and World number ones Mohamed ElShorbagy and Nour El Sherbini will face a tough test to take home the trophies. With only the top eight men and women in the PSA World Series Standings qualifying for the event, this year’s World Series Finals is set to be one of the most competitive yet with six current and former World No.1s set to feature across both the men’s and women’s draws. Every player is a serious contender for the title, and the event has a history of serving up some breathtaking upsets. In 2016 Mohamed ElShorbagy came to Dubai as hot favourite having won all but one title throughout the season, but fell in the semi-finals to outsider Australian Cameron Pilley who had qualified in 8th position. After scraping into qualification Pilley made it all the way to the final before going down to France’s Gregory Gaultier. And last year it was England’s James Willstrop’s turn to make a run to the final after qualifying in 6th place. His tilt at the title was denied by a resurgent ElShorbagy though, who recovered from a disappointing season to take his first PSA World Series Finals title. 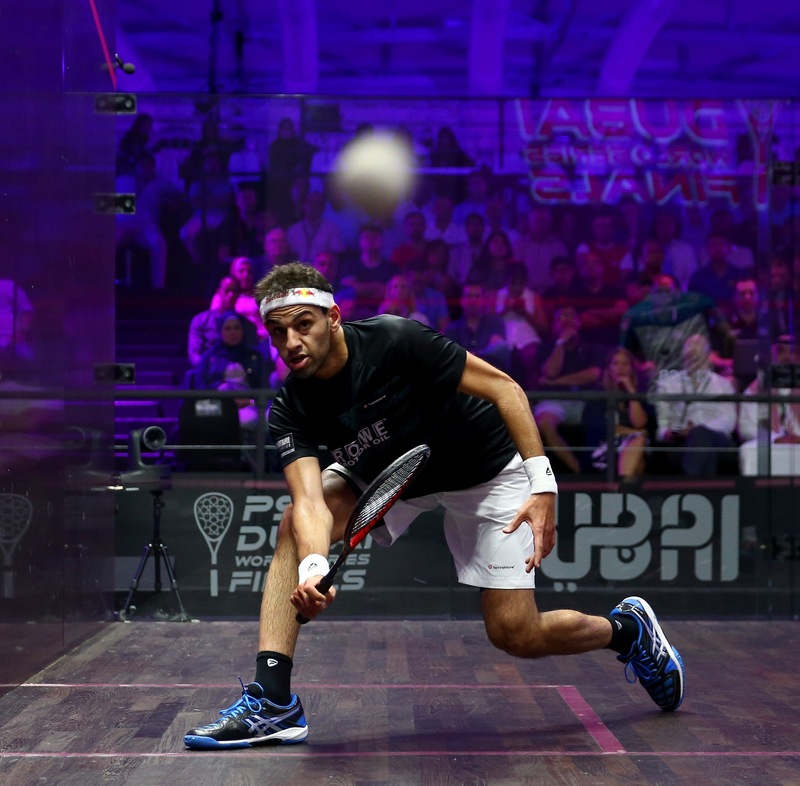 While ElShorbagy has returned to brilliant form this season, taking out three of the seven qualifying events, winning the PSA World Championships, and recapturing his world number one ranking, this year’s World Series Finals again promises to provide some tough tests. In the group stages, ElShorbagy is pitted against his brother Marwan, who took his first World Series title this year and is currently number three in the world; 2016 Finals winner and former world number one Gregory Gaultier; and the man who defeated him at this month’s British Open – Colombia’s Miguel Angel Rodriguez. But ElShorbagy insists that a successful defence of his crown is a high priority. “I’m really excited about Dubai and I’m really happy to be back again,” said the 27-year-old. “For me, last year, it was the start of getting back on track. This year I’m taking it more seriously than ever. I really, really want to win this year. “The year when I won six World Series events I had broke down mentally and physically when it came to Dubai and I couldn’t really perform how I wanted. This year I want to perform strongly until the end. “I want to show everyone that I can keep going until the last tournament, even though I have played so many more matches. In the women’s event World number one Nour El Sherbini will also be under pressure to take one of the few titles she is yet to claim. The 22 year old, who finished top of the World Series Standings after claiming four World Series titles this season, has been a force to be reckoned with on the Women’s Tour and will be hot favourite to take the title in Dubai. After falling to England’s Laura Massaro in the semi-finals in 2016, and going down to Massaro again in the finals last year, the 22-year-old is hoping to go one better this year as she looks to claim her first World Series Finals crown. But first she will have to get past world number three and winner of two titles this season – Nour El Tayeb; Commonwealth Games gold medallist Joelle King from New Zealand, and dynamic young Egyptian Nouran Gohar. Massaro meanwhile has drawn World champion Raneem El Welily in her group, along with 2016-17 PSA Player of the Year - France’s Camille Serme; and fellow Englishwoman, 2018 Commonwealth Games silver medallist Sarah-Jane Perry. “I’m really excited to have qualified for Dubai,” said El Sherbini. “I see it as a rewarding tournament for us after a long season, it’s always good.Playing against the top eight players is tough but I’m really excited to go back to Dubai and hopefully the tournament will be good. “It’s the last tournament of the season so you always want to keep playing and winning but you don’t know what will happen. You just play and try to enjoy it rather than putting pressure on yourself. The World Series Finals will feature a unique best of three games format throughout the group stages before reverting back to the traditional best of five format for semi-finals and final.